Why Does My Dog... Make a Beeline for Cat Food? There’s a well-known scene in the movie Jaws where Richard Dreyfuss’ character cuts open the belly of a shark and pulls out some unexpected items, including a Louisiana license plate. As some pet owners and all vets know, an X-ray of a pooch's stomach is also likely to produce some surprising findings. While some dogs may try to eat pretty much everything, one thing that seems to hold a strong attraction for many dogs across a variety of breeds is cat food. Dog and cat foods may seem pretty similar on the surface, but there are some important differences. Cats are obligate carnivores, meaning they need to eat meat as their main food source, whereas dogs are omnivores and need a diet with more fiber than a strictly carnivorous diet can provide. 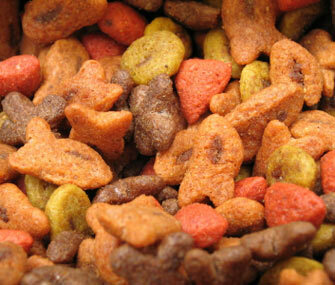 Still, there is meat in dog food, too, so why do dogs crave their feline friends’ food so fiercely? Dr. Crowell-Davis even uses cat treats as incentives for some of her canine behavioral patients because the deliciousness galvanizes the pups, just as long as "the dog loves them and the dog’s stomach can handle them, and it helps motivate the dog in learning how to behave the way the owner wants it to," she says. For the safety and health of your pet, limit the majority of your pet’s diet to food that has been produced specifically for his or her species. Read more Vetstreet "Why Does My Dog... " articles.